We are beyond thrilled to be expecting a little boy in a few months, and count ourselves very blessed to receive another bundle of joy. You may not know that I have a full-time day job, where I put my bachelor’s degree and finance background to work. I help develop a comprehensive budget for a university, and monitor the spending throughout the year to make sure we’re on target, and there aren’t any surprises. I love my job. 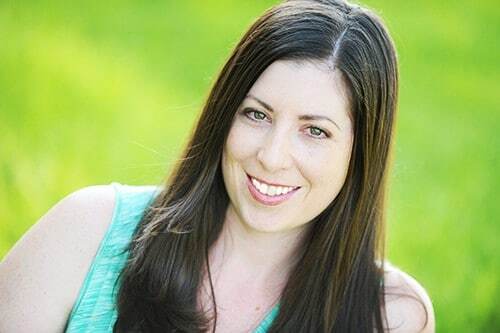 I love working with money, finance, numbers… it is a passion of mine, which I know sounds like the worst thing ever to some people 😉 But I seriously love budgets. So, naturally, when we found out we were pregnant, I got to work developing a budget for the new baby. 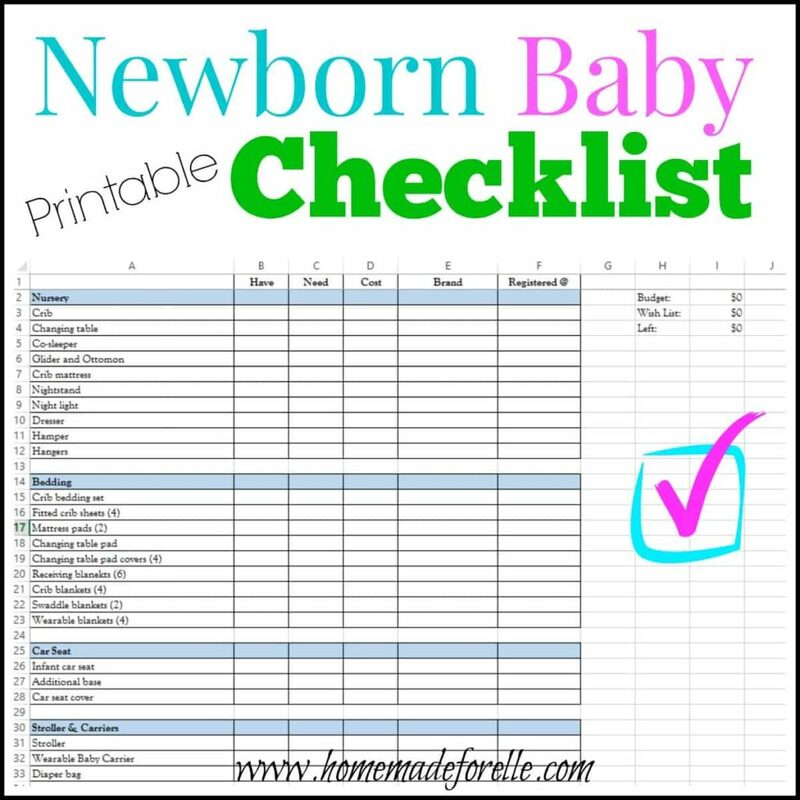 I made a comprehensive newborn checklist of everything I could think of that we would need, how many of each item, the cost, what brand to buy and where I was registered (to keep track of everything). I am part of a pregnant mom group, and some of the girls were asking for a copy of my list, so I figured other moms-to-be may be interested in an editable and printable newborn checklist, so I am sharing it here! This list contains a lot of stuff. Some of it you may personally need, already have, or don’t need at all. There are many decisions in child-rearing: breastfeeding versus formula, cloth or disposable diapers, co-sleeping or crib… so this newborn checklist will need to be modified to your needs. If you come across something you don’t need, simply right click on the row you don’t want, and select “delete”. Or simply overwrite the unneeded cell with another item you do need, that I don’t have on the list. There is a simple running total on the right side of the checklist, which allows you to set a budget. When you fill in the “Cost” portion, the “Expenses” cell should automatically calculate the total amount of your budgeted expenses. The third item, “Difference” will show you the difference between your budget, and how much you have projected to spend on your newborn checklist. If you’re not a veteran Excel user, it might be a little complicated, but feel free to email me (homemadeforelle@gmail.com) if you have any questions. Here is a printable PDF, if you don’t have or want to use Excel. The real, simple truth is that all babies really need is something to eat (breastmilk or formula), a safe place to sleep, diapers, and a whole lot of snuggly love. But, for obsessive planners, like myself, here is a newborn checklist of everything else that would be nice to have.